Stakeholders at all levels of a healthcare system have a vested interest in improving quality and safety. Managers play instrumental roles in creating and delivering high-quality services but many frontline clinical and administrative staff members are also involved, directly or indirectly, in shaping patient care systems and designing safer, more efficient processes. Applying Quality Management in Healthcare explores the principles of quality management and provides a variety of practical tools for real-world improvement and problem solving. 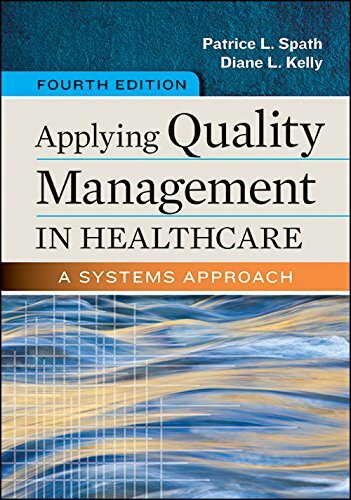 Unlike many healthcare quality management books, this book delves into the systems that serve as the foundation of a high-quality health services organization. Readers learn which management practices are essential to creating an organization capable of advancing performance goals, making long-lasting process improvements, and providing the operational systems and tools needed for success. In addition, the book provides guidance on managing improvement projects, fostering collaboration, providing a supportive environment for performance improvement, and becoming a high-reliability organization. Concepts are robustly supported by real-life examples, end-of-chapter exercises, and a series of practice labs.